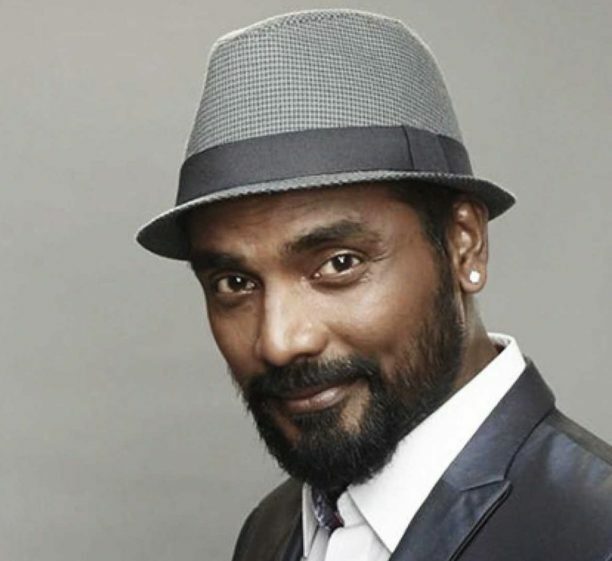 When you think about the choreographers in Hindi films several names come to mind and one of them of course is the great Remo D’Souza. In every dance sequence he choreographs and directs he always works to create something cool, something new and something classic. He is considered one of the best in the industry and fans cannot wait to see what he will bring to the big screen. His next film is actually one he says he is the most excited about. We are talking about Kalank, the Abhishek Varman directed film, which is set in 1945, in pre-independent India. Kalank is the story of a vivid and ethereal world, lost when the fire of Partition engulfs the city and the country. It’s the story of the shades of reds in their lives as they yearn for hues of love while Husnabad gets soaked in the reds of violence and revenge. Varun Dhawan, Alia Bhatt, Madhuri Dixit, Sanjay Dutt, Sonakshi Sinha, and Aditya Roy Kapur lead the all-star cast that releases tomorrow! For this amazing film, D’Souza has created some incredible and awe-inspiring sequences where not only does the choreography and the dancing absolutely blow you away but the picturization, the imagery, the set, the costumes and the cast are magnificent in the epic-ness that he has created! Stacey had the chance to have a quick chat with Mr. D’Souza to talk about creating his part of the world of Kalank. It was truly fascinating to go inside the dance, to hear about working with Alia, Madhuri and Saroj Khan and so much more! As a choreographer you are in charge of the whole sequence, right? Can you expand on that please? Yes! 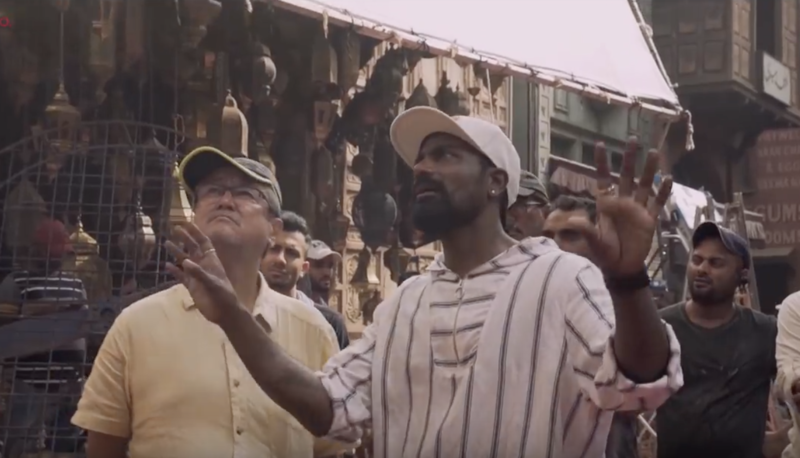 It is always really good to be a choreographer in Bollywood because in Bollywood choreographers they just don’t go and choreograph the song, but they actually direct the whole song. So, from the costumes, to the sets, to the dancers, to how many dancers, to the camera movements and everything. We have to take care of it. In the west, the choreographer comes in and shows the steps? Right? Here the choreographer actually directs the whole song. When you listen to the music for the first time, do some of the steps or sequences appear in your mind? Yeah, it actually happens. Whenever I hear a song it actually automatically comes, I don’t know from where, even I don’t have an idea. But it automatically comes in my head and I know that, okay this is what I am going to do in the song. So, as soon as I hear the song, I get everything from the costume to the dance and everything I know that this is what I am going to do. So yeah, I think it is God gift. We have to talk about ‘Ghar More Pardesiya,’ tell us about creating and filming that piece because it is so epic! Whatever you’ve seen is actually less. It is actually a 12-minute song in the film. So, the whole screenplay happens in the song. It is amazing. It is one of my favorite pieces I’ve done till now. Coming to Alia, I had no idea she could dance like that. Tell us about working with her on the piece. So, I’ve done her first film. I’ve done Student of the Year and now I’ve done ‘Ghar More Pardesiya’. I can easily say that I’ve never seen an actor grow so fast. She is one of the best and the most talented and the most hardworking actors I’ve ever come across. She is amazing and she is so hardworking that you give her anything and she is ready to prove to you that she can do it. How did you rehearse with her to do this piece? It was the biggest challenge for her because firstly she’s not done something like this earlier. Secondly, she has to dance in front of Madhuri Dixit. That was a big challenge. I mean she was very, very scared in the beginning, but she had to dance, and she had to prove to everyone that she can do this. We did lot of rehearsals and more of working on the steps first and then we worked on the expression because Kathak is more of expressions. We did everything. I had a very good team with Kruti [Mahesh Midya], who has just won all the awards for ‘Ghoomar’ (Padmavaat). She was assisting me. So, she helped Alia and we did a lot of rehearsal before we went on to shoot. Of course, there is the incredible Madhuri, to me she can say more in a hand gesture than any other dancer besides her incredible dance ability, what is it like to work with her? She is a dream to work with. I’ve known her for many years. I had the privilege to do a show with her for 4 years and we did a song before this and we’ve done one more Kathak song before we did this one. It was great. Every time you see her, you meet her, you work with her, you learn a lot of stuff from her. She puts in her everything: for a rehearsal, for a song or whatever it is. She works so hard and you learn so much from her. She is amazing. Tell us about ‘Tabaah Ho Gaye’. It is the first time it’s happening in Bollywood that two choreographers come together to do one song. Saroj Khan and I have come together for the first time ever. So yeah, the song is a combination of all three, Madhuri Dixit, Saroj Khan and me coming together. I am very excited. It’s my favorite song. As you said, the incredible, iconic Saroj Khan worked on this piece, tell us about that experience. It was a fan moment for me actually because I am a huge fan of Madhuri Dixit and a huge fan of Saroj Khan. It really was a fan moment. (You can hear his smile) It was one of the best work experiences of my life because I was on set where Saroj Khan and Madhuri Dixit. I am very lucky to have this kind of moment in my life. So, it’s one of my favorite, favorite moments. You also have Varun Dhawan in ‘First Class’, it is another epic number so how is it to work with him again on a piece like this? This song has more of a modern-ish flavor to the music, so how did that effect your choreography? No, actually what we did was, earlier when I got the song and we shot the song and I shot it with so many dancers, some 500 dancers and all the stuff. It was great shooting the song. Varun Dhawan has got insane amount of energy in him. So, he is fire on set, and he is always jumping around and wanting to do more. 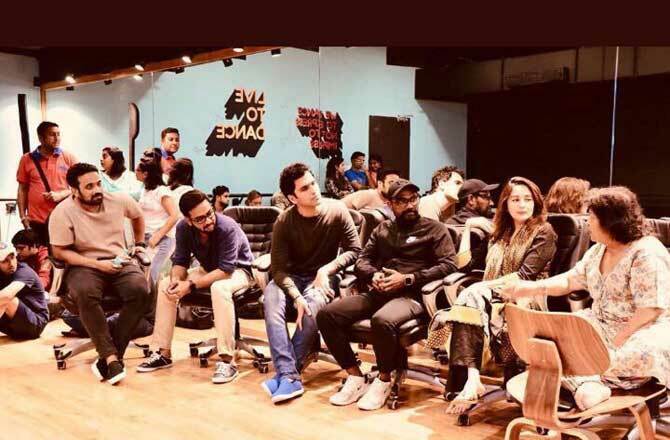 When the music director, Pritam, saw this song, he said ‘Oh God, I have to put more music into it because the way you shot it, it’s huge.’ So, he reworked on the music and put in more music after seeing the song. Working with 500 dancers, what is that like? It’s crazy. (Laughs) It is amazing! You need to have a great team to pull this off and I am lucky to have an amazing team with me. They handled it very well. 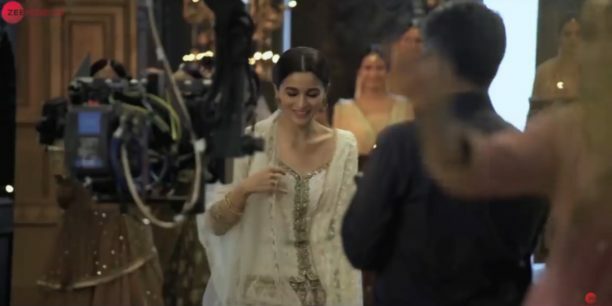 We also saw in the trailer a little clip of Sonakshi in the Kalank title song, what can you tell us about that. That piece is not done by me. That one was done by Kruti who was assisting me with the film. What do you love about the choreography and the incredible picturizations of Kalank? Kalank is one of my most exciting work. I am waiting to watch the whole film. I’ve shot all the songs and it is amazing. It is very special because it is something, I’ve always wanted to do with such a big scale, and I got everything there from sets to dancers to costumes. It was one great experience to do Kalank. Looking back over your career what would you say? An amazing roller coaster ride. There were ups and downs and, in the middle, I went round and round and came back again. It was a great, amazing journey from starting off as a background dancer to directing a film and doing such big songs, it is amazing journey. You have Street Dancer coming up next, what can you tell us about that film? So, the title says it all, Street Dancer. Varun Dhawan, Shraddha and the whole gang is coming back together. We’ve just finished the London schedule and we are back, and we are waiting for the final schedule to happen in June. The film is due release on 8th November. When you see your work on screen, what do you think? I feel proud and nice. I feel good when I see my name. I feel the struggle and everything throughout my journey was worth it. Any advice to aspiring dancers, choreographers or directors? The 3 P’s are very important – Persistence, Patience and Passion. These 3 things you should always have. If you have these 3 things, then go for it otherwise just do it for fun. I would like to thank Mr. D’Souza for taking the time out to talk with me, it was a wonderful converstion on something I truly love! Kalank opens worldwide tomorrow April 17th! 18 queries in 0.582 seconds.